Be part of the next generation! Cornwall Air Ambulance's New Heli Appeal will bring a next generation helicopter to Cornwall by April 2020, a faster and bigger aircraft that will help save more time and more lives. Help make this a reality, help raise the £2.5m needed, be part of the next chapter and become a New Heli Appeal Partner. Click here to see the local businesses already making a difference as New Heli Appeal Partners. Supporting Cornwall Air Ambulance has been an absolute pleasure over the years. It's a charity that really makes an incredible difference saving lives. 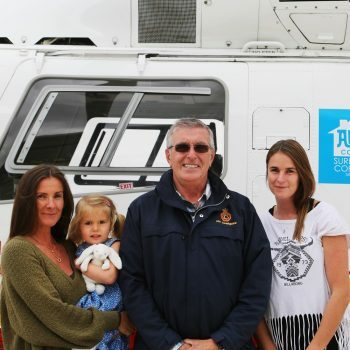 After my daughter Sophie suffered life-threatening injuries in a road traffic accident in 2004, it was the quick response and medical care given to her from the emergency services, including Cornwall Air Ambulance, that saved Sophie's life.